Extreme weather shatters records around the world https://edition.cnn.com/2019/02/01/weather/extreme-weather-us-uk-australia-gbr-intl/index.html, By Kara Fox, CNN, February 2, 2019 US cities as cold as the Arctic. An Australian inferno. The UK covered in snow. 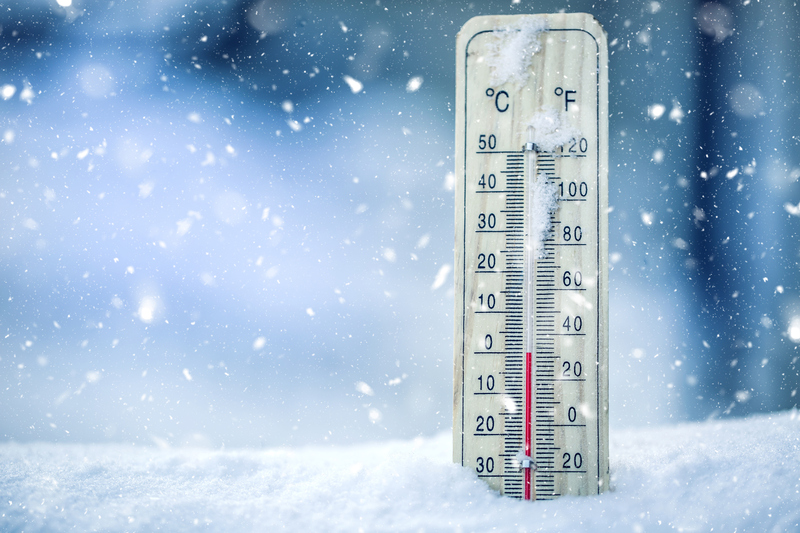 Thermometer on snow shows low temperatures – zero. Low temperatures in degrees Celsius and fahrenheit. Cold winter weather – zero celsius thirty two farenheit. In the United States this week, some 200 million Americans experienced a historic deep freeze that saw temperatures plummet below -32 degrees Celsius (-26 Fahrenheit), killed at least 23 people and led to the cancellation of more than 2,300 flights.